Buy a T-shirt to support our Native Songbirds! All funds raised will go directly to WILD BIRD REHABILITATION . 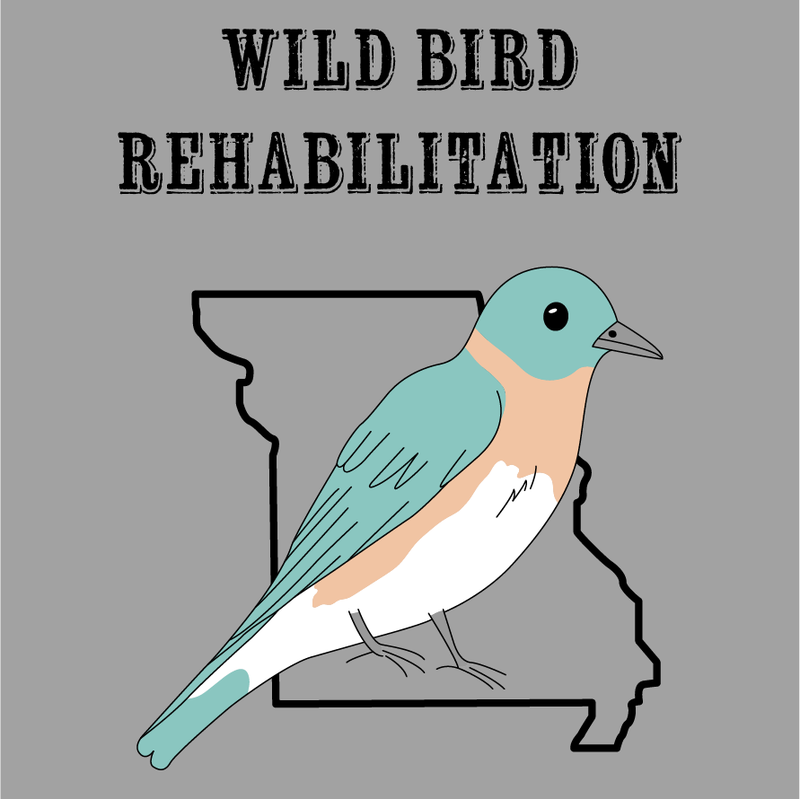 Wild Bird Rehabilitation is the only organization in the St. Louis area that cares for native wild songbirds. 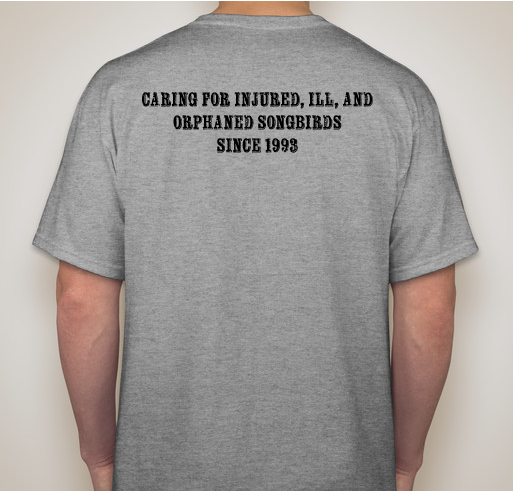 By buying this shirt, you can help support our mission to care for these birds and get them back into the wild! The mission of Wild Bird Rehabilitation is to provide care for injured, ill and orphaned native wild songbirds and to release them back into their natural habitat. We also provide public education regarding the humane treatment of wild songbirds and the conservation of their habitat. Established in 1993, we began operations in a 1200 square foot facility on Big Bend Blvd in Crestwood. In 2005, WBR moved to its current home on Midland Blvd in Overland. This location provided a larger facility and an area to be used as an aviary for birds to transition to the outdoors prior to their return to the wild. During the first year of operation, WBR handled over 500 birds and 1,000 phone calls from the public. Last year WBR cared for more than 1800 birds representing over 100 different native bird species. WBR receives referrals from St. Louis city, county and state animal agencies as well as many veterinarians and other animal welfare organizations. Native songbirds cared for here are under federal protection as a result of the Migratory Bird Treaty and caring for these birds as a licensed rehabilitator requires both federal and state permits. 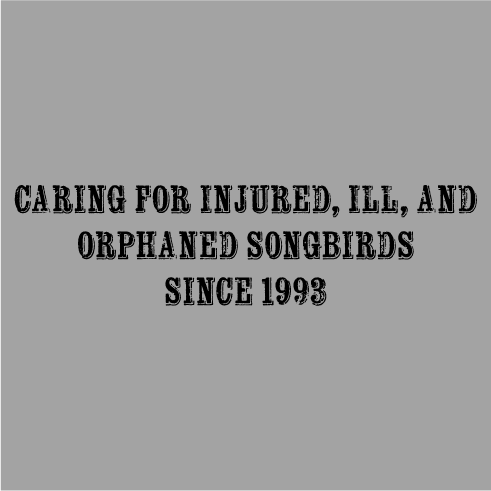 Wild Bird Rehabilitation, Inc.is a 501(c)(3) nonprofit tax-exempt organization. We receive no federal or state funding and are supported totally by donations from individuals, corporations and fundraisers. WBR is staffed primarily by volunteers who donate their time to help area birds. My pigeons asked me to do this. It's important to help support native birds! 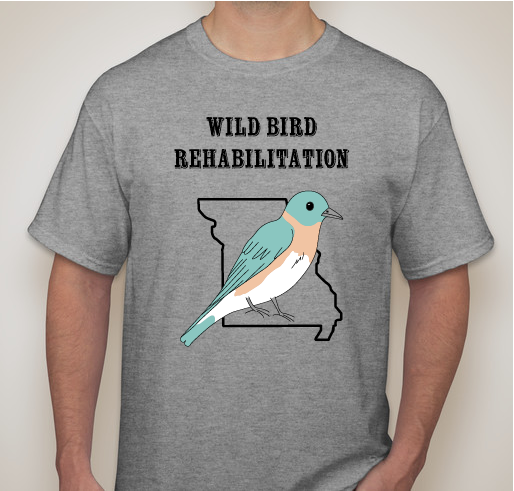 Share Why You Support "Wild Bird Rehabilitation T-shirt Fundraiser"